Top 3 Flea Markets in Bucharest (Romania) 4 out of 5 based on 11 ratings. 11 user reviews. Bucharest is an eclectic capital city in the South-East of Europe, some would say almost on the threshold of Eurasia. It bears the architectural signs of the fairly recent communist past, with its monumental Soviet architecture, but also the beauty and nostalgia of the older looks and neighbourhoods, which used to lend this city the nickname of ‘Little Paris’. 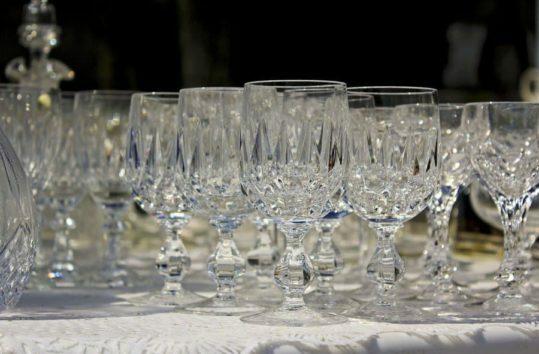 If you happen to travel to Bucharest, make sure you visit some of its flea markets, known in Romanian as ‘târguri de vechituri’, ‘talcioc’ or ‘bazar’. 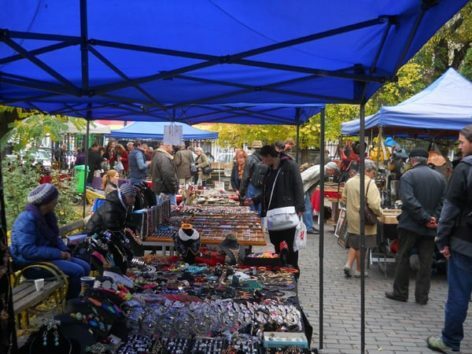 Right in the center of Bucharest, at University Square, you can visit The Antiquities Collectors Market (Târgul Colecționarilor de Antichități). 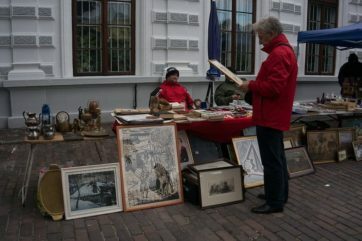 This flea market takes place every second and fourth weekend of the month, in the front yard of the neogothic Suțu Palace, which hosts the Museum of Bucharest. 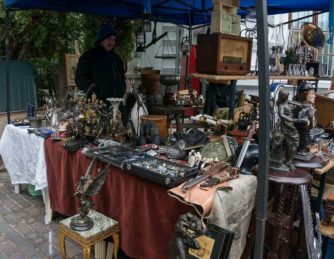 Both the antiquities market and the Museum are a must see in the Romanian capital, so make sure you attend this flea market from the early morning. 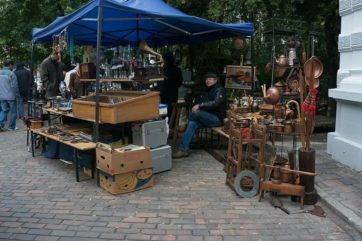 It is a rather small flea market with approximately 25 to 30 exhibitors, but you may take quite a while to explore all the little treasures. 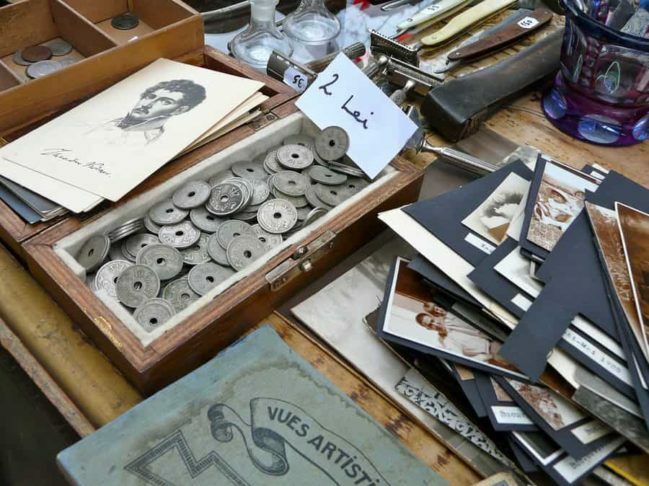 At the The Antiquities Collectors Market, visitors can find old coins and banknotes, vintage postcards and photographs, books, badges, analogue cameras, antique silver jewellery, vinyls, ceramics and occasionally painted furniture pieces. 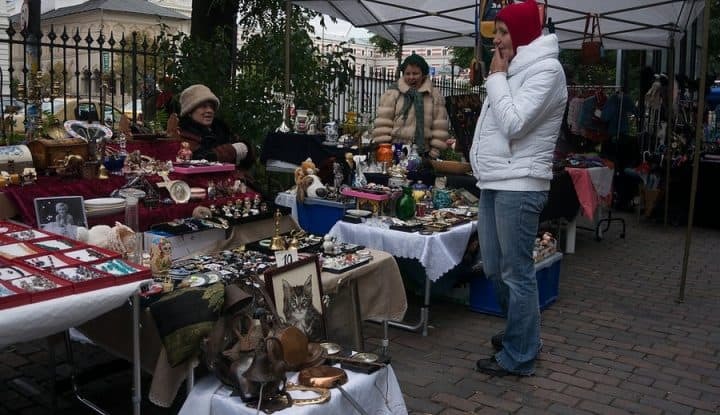 The Memories Bazaar (Bazarul cu Amintiri) is a flea market which takes place three times a week on Thursday, Saturday and Sunday, from 6 am till 1 pm (just perfect for early birds). The Memories Bazaar has an entry fee of 0.50 cents for visitors and 0.75 cents for sellers. 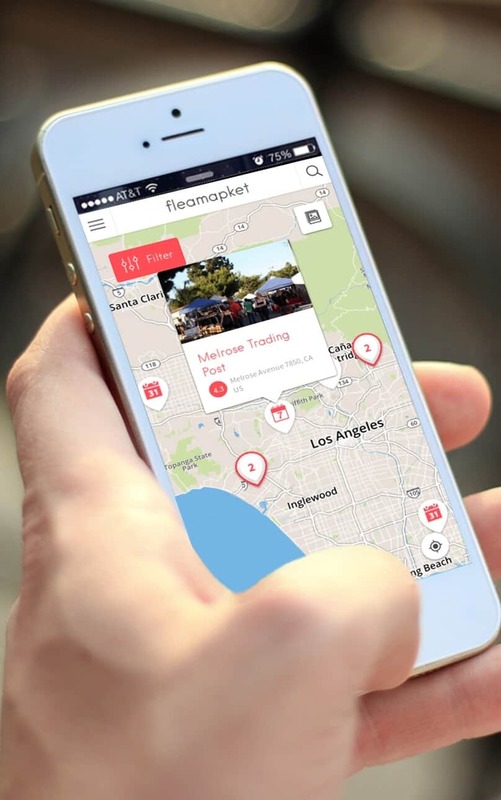 This flea market hosts over 500 sellers over a surface of 5,000 square meters, so make sure you bring comfortable shoes. 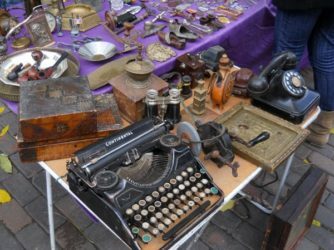 Unlike the Antiquities Collectors Market, The Memories Bazaar features a mix of new and old products, vintage objects as it is in fact more common with flea markets in Bucharest. 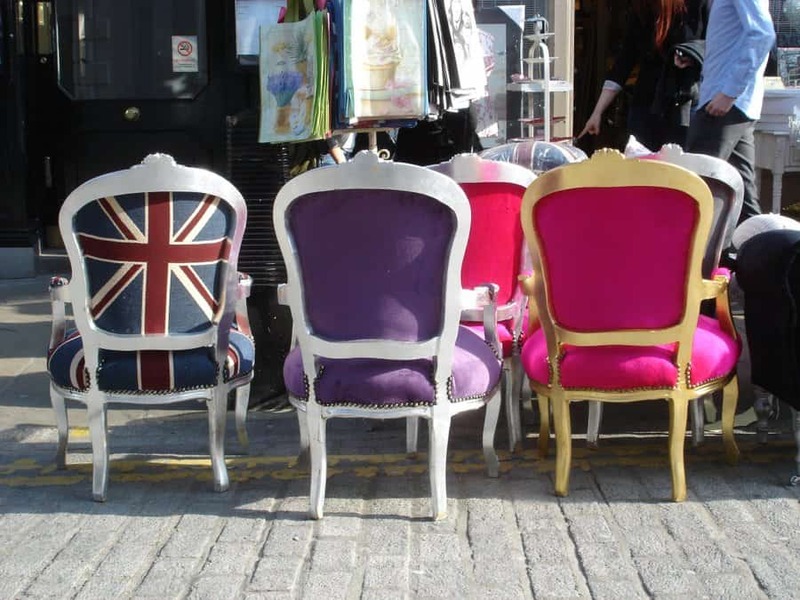 Visitors can therefore come across a bric-a-brac of old furniture, ceramics, jewellery, paintings, old coins and clothes sitting next to scooters, new sport shoes, mobile phones and a variety of home appliances. 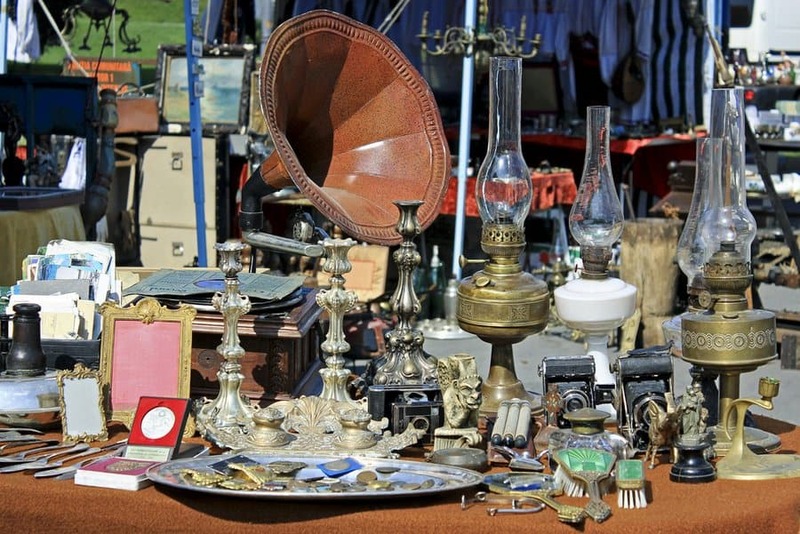 The trick to make the most of a trip to the Memories Bazaar, is to look around carefully as there are plenty of interesting objects to dig out. The Vitan Market (Târgul Vitan) is one of the largest markets in Bucharest and it takes place every Sunday from 7 am till 2:30 pm, so make sure you go there early enough to avoid the lunchtime busyness. 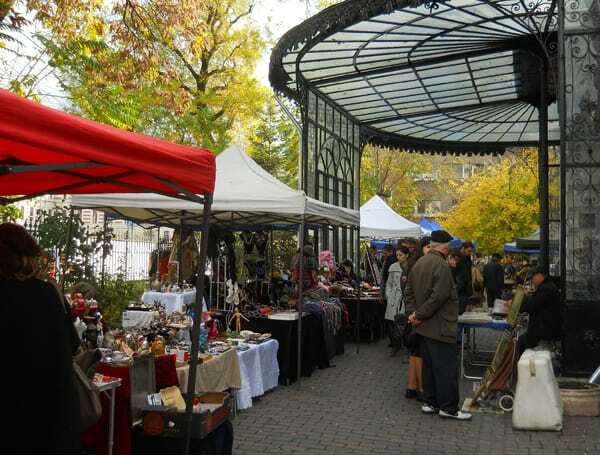 It is a fairly large market, with over 5,000 sellers and 30,000 visitors each Sunday. The Vitan Market features a mix of vintage objects and antiquities and new products. 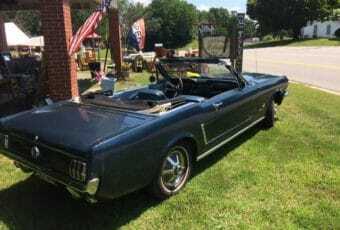 Therefore it is advised to take a good look around; it may first seem like a regular market, as there is no specific division between the new and the vintage objects exhibitors. But the Vitan Market provides an interesting selection of musical instruments, old jewellery, postcards and videotapes, home décor objects, silver cutlery, second hand photo and video cameras and many other things. One last piece of advice before hitting the road: bring good shoes and be ready to bargain! Livia is a visual artist from Bucharest, with a background in art history and social anthropology. Her personal work is about healing, family objects and photographs, and about education. Livia currently lives in Vienna (Austria) where she works for a start-up business. She particularly enjoy exploring the wall mosaics of this beautiful city, and studies Jazz and folk singing. When she's not working on her online photographs archive project, she writes for Marama. The Antiquities Collectors Market (Târgul Colecționarilor de Antichități) from Șuțu Palace is closed for good. Instead îs open a permanent Flea Antik Market în Old Centre (ExpoBazar Art) on Str. Ion Ghica. Nr 4. , inside of ex. Național Library, old building from 1900. It is open every day , all year from 10 to 18. Thanks for the info Bogdan. Saves me a trip in the wrong direction. I was at the Memories Bazaar today (march 10th 2018) and it was excellent. the entrance fee is 2 lei now. you definitely need to hackle, i got both of the things i bought for almost half of the original asking price. Thanks for the tip! I’ve visited the Memories Bazar today (October 2018). Took an Uber ride costed 20-30 lei. The market is huge and full of surprises! highly recommend!